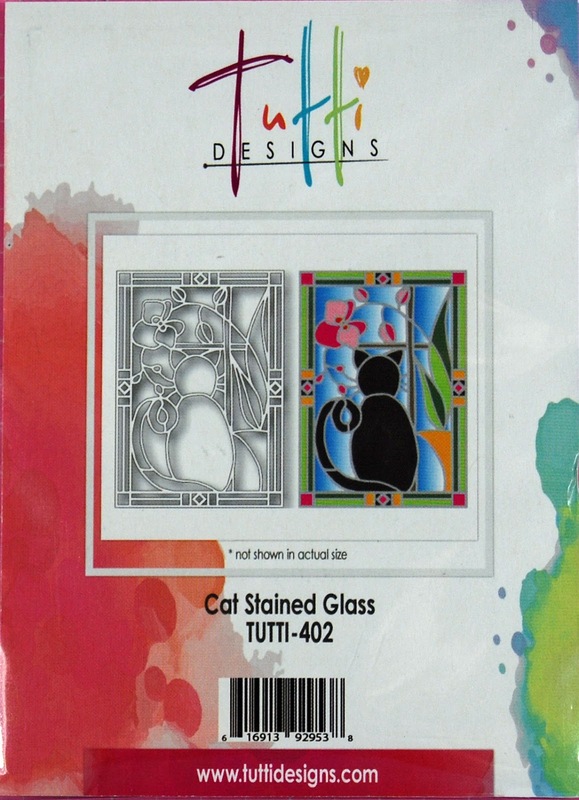 Tutti Designs: The Cat's Meow! 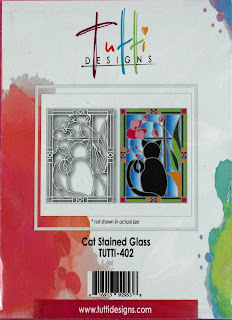 Vicki here sharing my latest Tutti inspiration. November is here and promises to be a busy month for our family. Today is my first of 5 posts this month featuring a selection of stained glass panel die cuts from the latest Tutti Designs release. You don't want to miss this latest release, so be sure to stop by the store later and toss them in your cart. 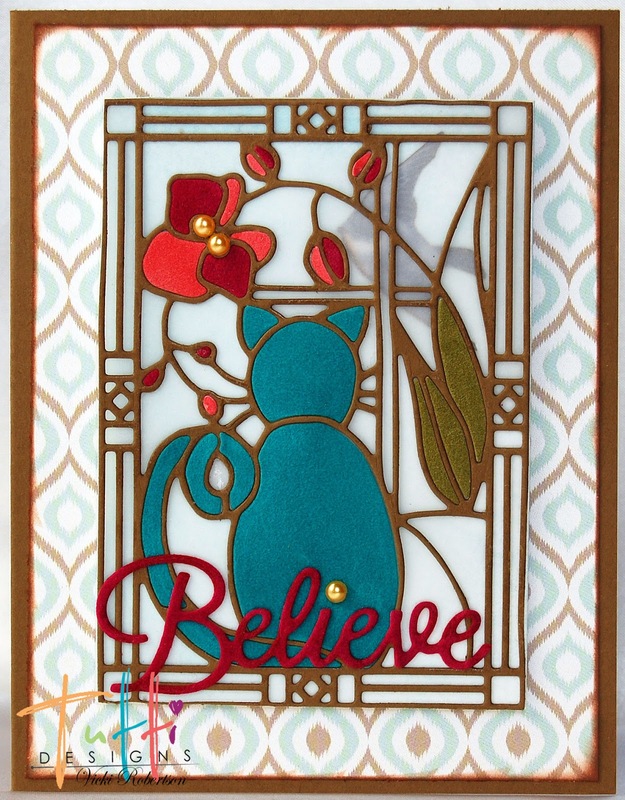 My "Believe" card features the Cat Stained Glass Panel from Tutti Designs. I wanted to create a whimsical, but uplifting card for a friend of mine that is going through a rough time. So, I added some fun colors and made the cat appear to be staring out the window at a bird that he believes is toying with him! The flowers, leaves and cat are cut from various colors of velvet specialty paper using the same stained glass panel. 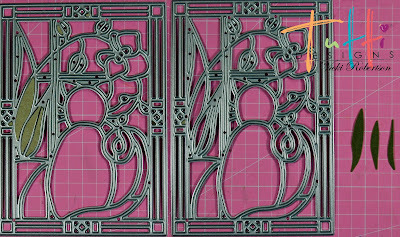 The bird is fussy cut from scrap paper and placed between vellum and patterned paper behind the stained glass panel. I tried a pearl paint pen for the flower center, but wasn't happy with the results so I adhered a couple of yellow pearls instead. 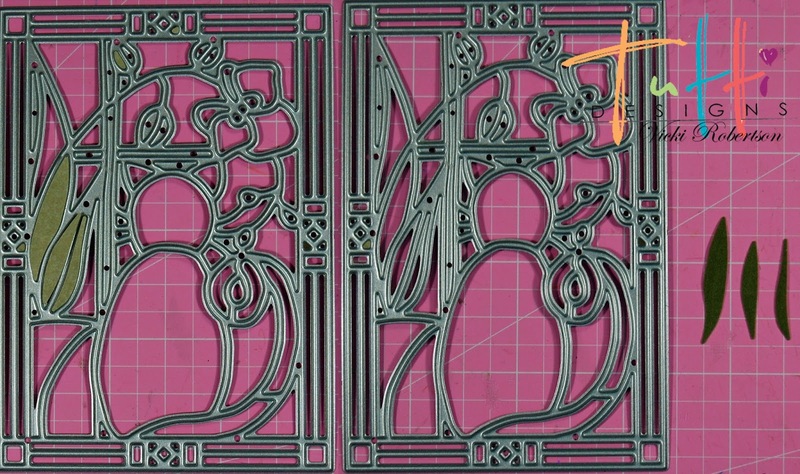 I gave the window dimension by applying foam tape to the back when adhering it to the card base. 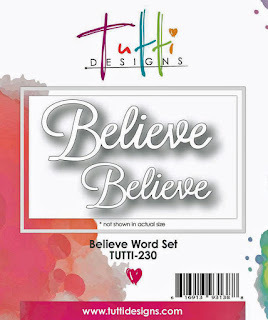 The sentiment, "Believe" is the larger word from the Tutti Designs Believe Word Set and cut from velvet too. Stop back every day for a daily dose of inspiration from our design team. Beautifully crafted and designed! FAB colors! 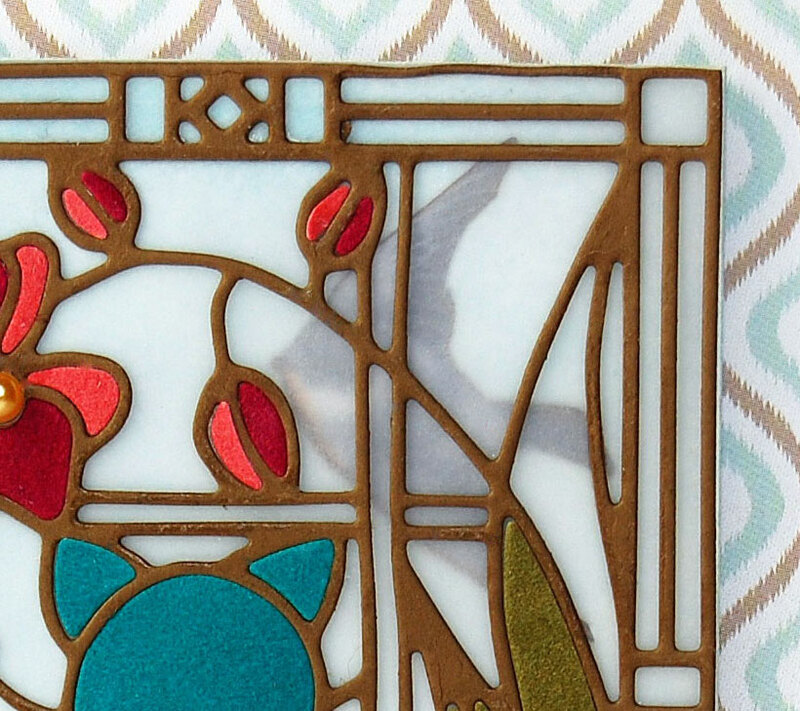 I love that stained glass cat! This is so awesome, great job Vicki.